New Delhi: Jammu and Kashmir Peoples Democratic Party (PDP) President and Member Parliament, Ms. Mehbooba Mufti called on the Union Minister for Railways, Mr. Suresh Prabhu here today to discuss various issues about rail connectivity in Jammu and Kashmir. 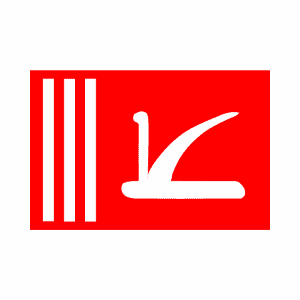 She was accompanied by PDP MPs, Nazir Ahmad Laway and Fayaz Ahmad Mir. Seeking personal intervention of the Union Railway Minister to expedite the work on the rail link between Banihal and Udhampur, Ms. Mufti said the real potential of the ambitious project of providing rail connectivity to Kashmir would be realized only when this crucial segment is through. She said it had been almost more than two decades since the project was conceived, but unfortunately, Kashmir is yet to get rail connectivity with rest of the country, despite the same being declared a national project in 2002. Ms. Mufti also called for extending rail link to Kupwara, Sonamarg, and Pahalgam in Kashmir and Rajouri Poonch and Chenab Valley in Jammu region. She also called for setting up new stations on the existing track between Banihal and Baramulla, which is a long pending demand of people from various areas. 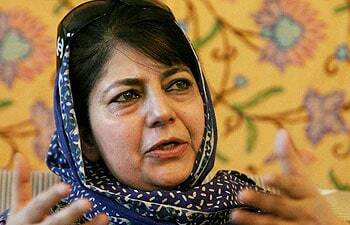 She also called for expediting the frequency of trains on Banihal-Baramulla sector. Read more Jammu and Kashmir current news following this link. Ms. Mufti also sought the intervention of the Union Railway Minister for reviving the practice of running additional trains between Jammu and rest of the country given the tourist season in Kashmir. “In the past special trains would run to Jammu from various important locations in the country given the tourist season in Kashmir,” she said and added the practice needs to be revived to boost tourism in Kashmir. She also called for arranging joy-rides for the tourists between Banihal and Baramulla so that they can explore the splendid beauty of J&K’s countryside. The Railway Minister assured Ms. Mehbooba that a team of senior officers from the Railway Ministry would be visiting J&K soon for an on-the-spot assessment of the issues about the railways in the State. The Minister said that he would be himself visiting the State after he gets the report from the official committee.